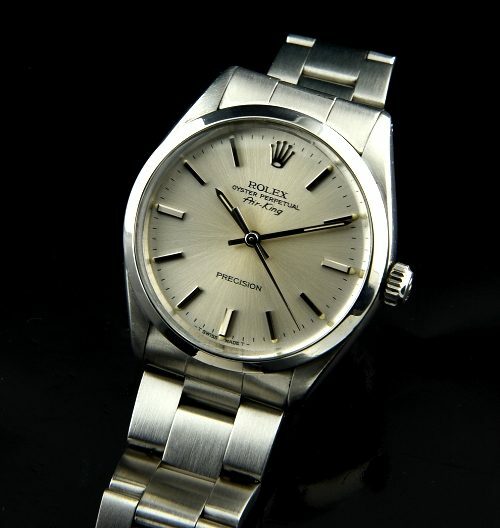 This ROLEX Air-King dating to 1982 comes complete with its inner and outer box, papers and hangtag. The original 78350 ROLEX OYSTER bracelet comes full-length with 13 links and in fine shape. The 34mm. steel case looks excellent-no dings or major scratches. The silver dial is original and pristine with steel baton hands and markers. 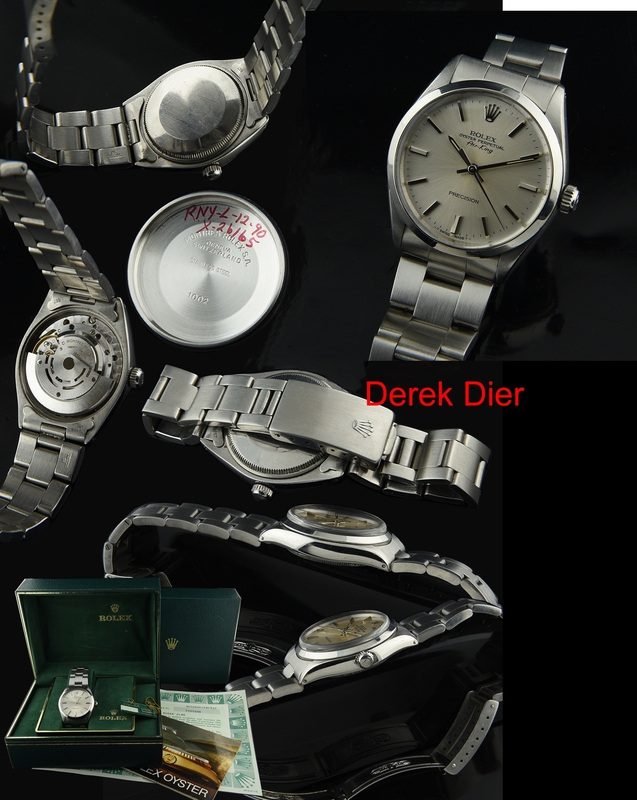 The automatic winding ROLEX movement was recently cleaned and accurate. It is uncommon to find a complete package such as this. The Air-King is an understated and sleek ROLEX for all occasions.